Earn $2.43 in Podium Club credit (243 points)What's This? 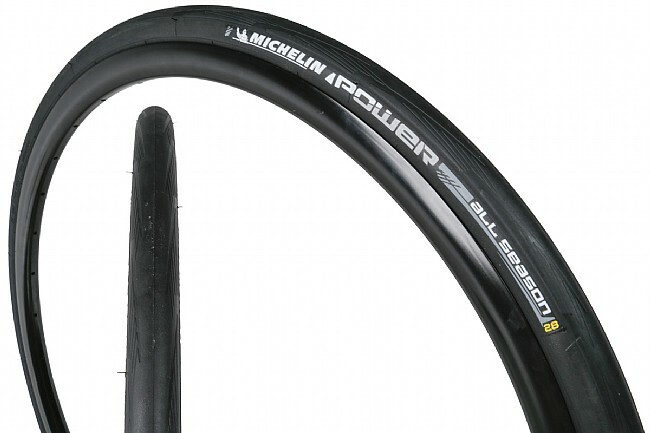 The Power All-Season road tire is part of Michelin's latest generation of performance tires, boasting improved grip, puncture resistance, and rolling efficiency over their old Pro4 range. Its Hi-Grip tread bites into corners better than ever, and combined with the Grip Compound rubber, the Power All-Season provides 15% more grip on wet or slippery roads and a 5 watt rolling-efficiency boost over the previous Pro4 Service Course tire.